WP GDPR Pro is WordPress gdpr plugin to make a website gdpr compliance. 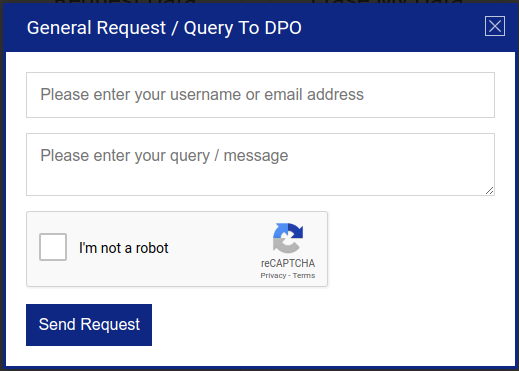 Users can submit various requests using DPO forms and Admin can manage all requests in the backend. This GDPR plugin covers cookies consent, delete my account form, request data form, erasure data form and data breach notifications. Allow users to send general enquiry, data erase, data access and delete account requests to admin using frontend form. Admin can manage all form requests easily in the backend. User can see all GDPR related important section at one page easily. Admin can display all important blocks using shortcode anywhere. 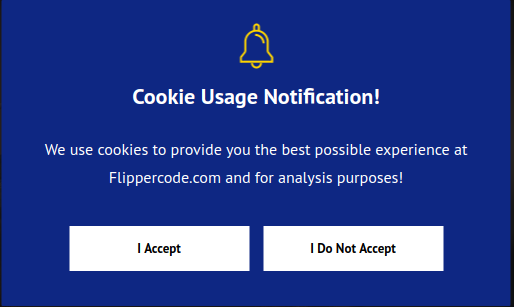 Admin can display cookies consent notification to all pages. All 6 DPO emails are easy to configure in the backend. Data Bearch notification can be send to all users at once. Admin can send data breach notificaiton to selected users by choosing roles. Sender Email settings are easy to configure. Redirect user to external link if cookies is not accepted. 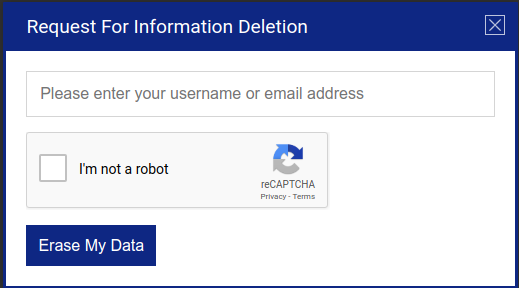 Google Recaptcha is integrated to each DPO form to avoid spamming. All forms are fully multi-lingual using WPML plugin. Apply ‘I Accept’ input box on core wordpress login and registration page. Easy to add privacy setting page. BBPRESS Supported – Admin can apply “I Accept” on BBPRESS forms using backend settings. CONTACT FORM 7 Supported – Admin can apply GDPR input to all forms at once. Each form can have own GDPR settings.No need to modify your existins forms. All GDPR Cards are manageable using backend settings. Use shortcodes to put forms where you want. ADD DPO Forms in the sidebar using widget. Set Cookie Popup postion Top, Center or Bottom using the backend. This plugin is fully WPML supported. You can easily define contents in different languages. This plugin requires latest WordPress 4.9.6 to use and extend new GDPR features provided by WordPress itself. 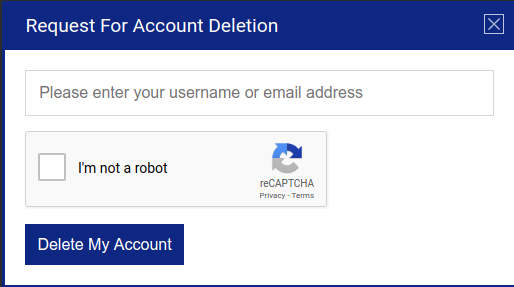 - Fix - reCAPTCHA API is used if enabled in the backend. - Fix - Missing Font awesome Fonts added in the plugin. - Fix - Contact Form 7 Label Link Issue Fixed. -Fix - Popup Issue With Woocommerce Shop Page Fixed. -  13 New Responsive Popup Form Templates Integrated. -  Fontawesome listing added in the backend for ease of icon choose process. -  More options added for UI customization, hover color for popup, buttons, and text added. -  A new control added for switching back to the default UI color schema of the popup. -  A new control added for switching back to default UI color schema of privacy center page and forms. - Fix - Display of popup after giving consent via "I Do Not Accept" button. - New - Remember days are manageable from the backend. - Fix - Opacity Issue Fixed. - New - Ability to Export Setting from one site and Import into Another site. - New - New settings added for background transparency. - Fix - Language File issue is fixed for translation plugins. - New - New Data Privacy Related Admin Notification Emails Added. - New - Google Analytics Block Functionality Added. - New - Cookies Block Functionality Added. - Fix - Ability to reset assigned pages. - New - New control for show/hide blocks on user privacy page. - Improved - Forcefully terms acceptance functionality is improved. - New - Open policies pages in the new tab or same tab. - New - "I ACCEPT" checkbox can be added to WordPress default registration, login page. WooCommerce, BuddyPress, BBPress, and Multi-site supported. - New - Add gdpr compliance checkbox on all contact form 7 forms. No need to modify existing forms. Admin can disable/enable this checkbox using backend settings. - New - Ability to choose readymade skins or apply own skin color using backend. - New - Allow existing users forcefully to accept terms & condition after login. - New - Imprint & Disclaimer card added. Admin can enable/disable these cards in the backend. - New - Show 9 cards anywhere using shortcode or display them in the backend using the widget. - New - Set Cookies Popup Position using backend setting. - New - Set popup contents easily using backend setting.